For the summer of 2017 ICG hosted five different summer undergraduate placements, three focused on scientific research, and two on public engagement with research. Summer 2017 placement students and supervisors on the balcony of the Dennis Sciama Building. 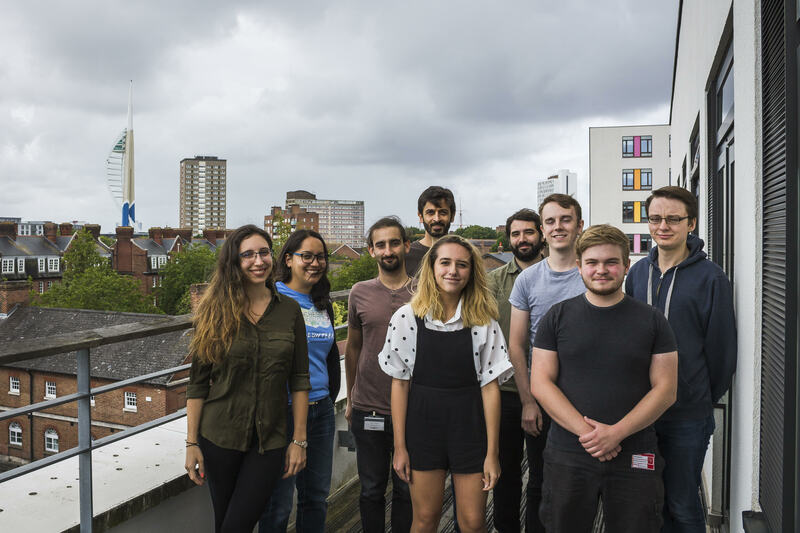 From left to right: Virginia d’Emilio, Jen Gupta, Santiago Avila, Sesh Nadathur (rear), Wiktoria Kedziora (front), Coleman Krawczyk, Lewis Watt, Andy Cook and Thomas Divers. As usual it was a pleasure to host such enthusiastic young people in the department for these 6-8 week placements, and we look forward to hearing more about the outcomes of the work, and the future careers of our placement alumni in the future.